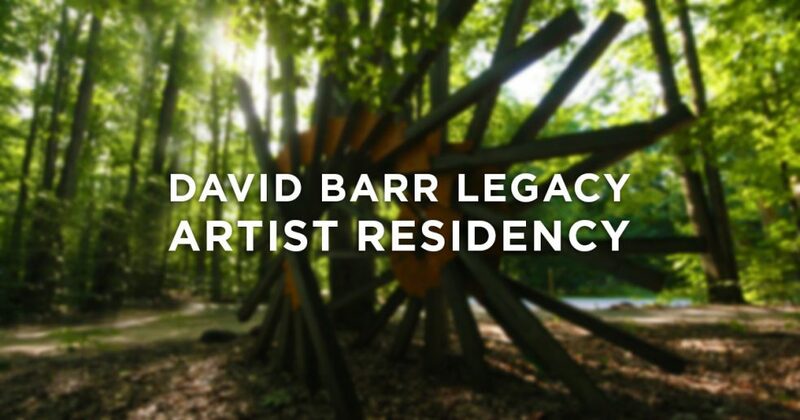 Michigan Legacy Art Park is proud to be collaborating with the City of Novi, Mich. to present the David Barr Legacy Artist Residency. This new opportunity for artists is inspired by the work and life of sculptor and Art Park founder David Barr. Designed for artists interested in nature, health, philosophy, science, math, education, research, or the Michigan experience, the residency provides time, space, support, and inspiration to further their creative work. Interested artists may apply to do their residency either here at Michigan Legacy Art Park or at Villa Barr—the founding artist’s storied former home and the newest park in Novi, a community located between Ann Arbor and Detroit. At either location, the resident artists shall create and exhibit their artwork and share their creative process with the public. Because of the collaborative nature of this residency program, resident artists have the opportunity to visit the sister site to present their work. Applications for 2018 residencies are currently being accepted through April 13 for Michigan Legacy Art Park and May 15 for Villa Barr. Artists working in a wide variety of disciplines are encouraged to apply online. Hi. Is it possible to visit Villa Barr? I’m a sculptor born and raised in Detroit and then spent 40 years in California. I may be able to help in some way.